Tony Trujillo of course has flow comparable to Dennis Busenitz out there. Clint Peterson like a genie. 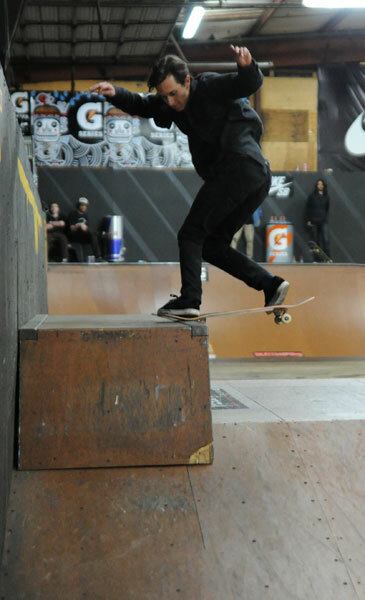 I don't know if he ever made it, but Austyn Gillette was trying frontside noseslide to frontside bigspin out. Crazy. Mikey Taylor nollie crook not wearing etnies. Elissa Steamer, still the best female skateboarder in history. Peter Ramondetta. Yeah, keep sayin' it. The Real Video is going to be amazing. Fred Gall is very generous with his illicit substances. I had to turn him down twice. Chris Troy - back smith up. Most people can't frontside 180 that high. This is Luan on a nollie half cab. Kenny Hoyle - 5-0 and out. Omar Salazar was like a wind up toy let loose on the course. 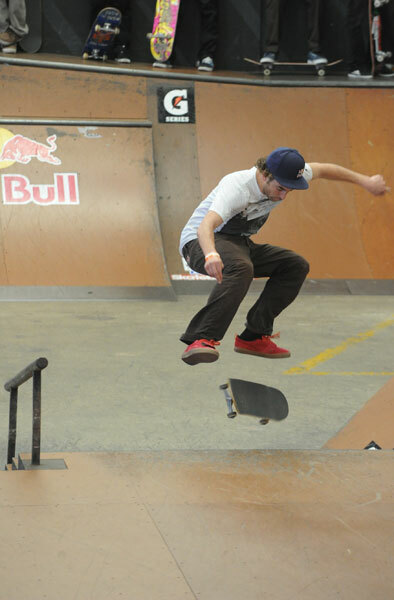 Kurtis Colamonico - 360 flip. That's how you catch a kickflip like a fastball. Damn, Busenitz. I love Johnny Layton's tucks. I was a bit off on the timing on this one. A simple but amazing looking backside 180 from Austyn Gillette. 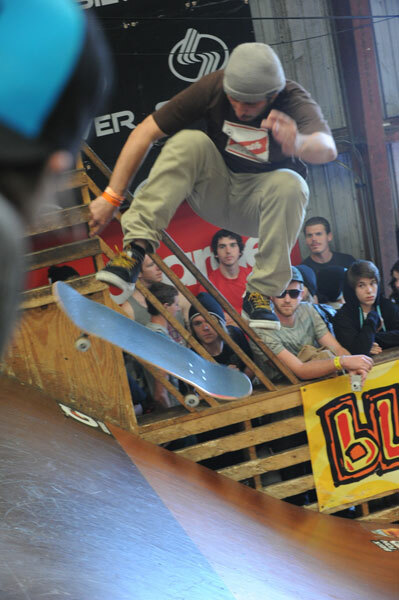 Even after like 10 times meeting him, I still fan out on Brian Anderson. Dennis Busenitz - back tail up. Eric Koston back lips around the block. That's a frame from Mike Peterson's frontside flip. Serious. Check the sequence here. Eric Koston - bluntslide around the block.